MAT The Basics Lake Placid Area Rug - Charcoal - Swatches may be available. Hand Tufted. Contemporary. With waves that bend and curve across the area of the Lake Placid collection in a hypnotic manner, the mesmerizing effects of the embedded curves in this artisan created floor d�cor will update the feel of any space. 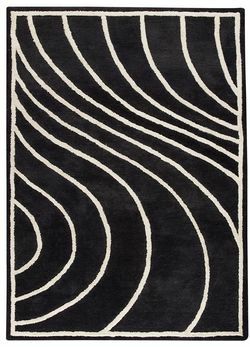 Adding the brilliant, contemporary rug to your space incorporates a work of art in its own right. 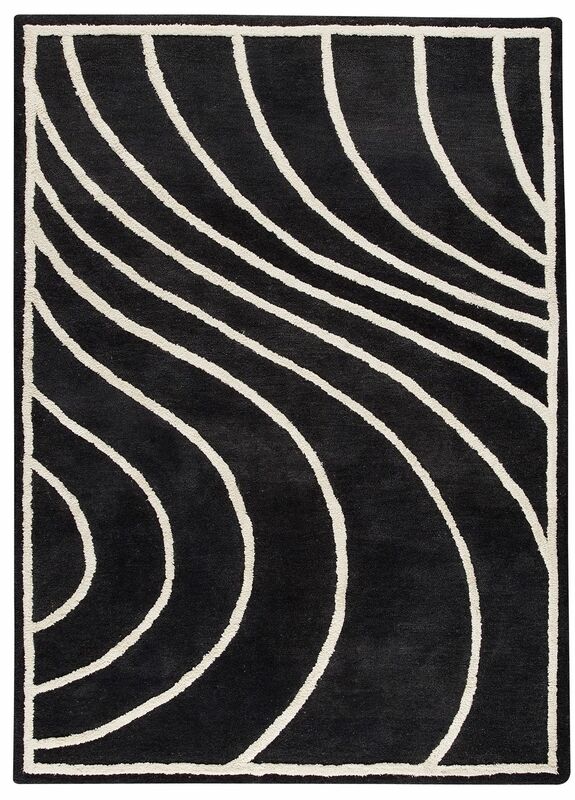 Made using a blend of wool and viscose, this design is available in additional sizes and colorways. 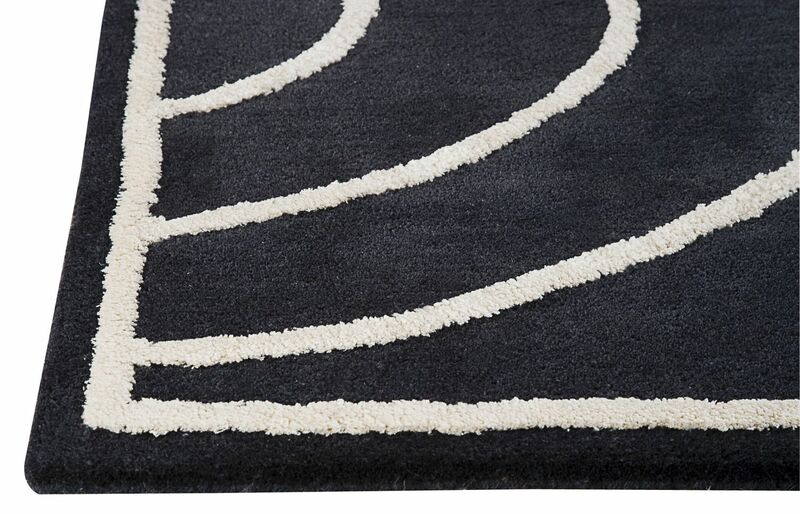 Hand Tufted with 80% wool, 10% Cotton, 10% Viscose. Pure new wool with viscose. Pile height is 0.5 inches. Made in India. MAT The Basics Lake Placid Area Rug - Charcoal 5'6"x7'10"
MAT The Basics Lake Placid Area Rug - Charcoal 8'3"x11'6"